Filling a gap in the literature, this crucial publication on the renowned Lifshitz-Slezov-Wagner Theory of first-order phase transitions is authored by one of the scientists who gave it its name. Prof Slezov spent decades analyzing this topic and obtained a number of results that form the cornerstone of this rapidly developing branch of science. 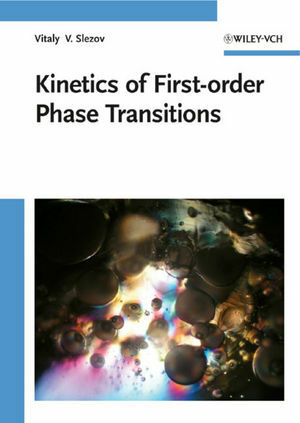 Following an analysis of unresolved problems together with proposed solutions, the book develops a theoretical description of the overall course of first-order phase transformations, starting from the nucleation state right up to the late stages of coarsening. In so doing, the author illustrates the results by way of numerical computations and experimental applications. The outline of the general results is performed for segregation processes in solutions and the results used in the analysis of a variety of different topics, such as phase formation in multi-component solutions, boiling in one- and multi-component liquids, vacancy cluster evolution in solids with and without influence of radiation, as well as phase separation in helium at low temperatures. The result is a detailed overview of the theoretical description of the whole course of nucleation-growth processes and applications for a wide audience of scientists and students. Vitaly V. Slezov is Professor at the Kharkov National University and Head of Department at the National Science Center, Kharkov Institute of Physics and Technology. He began his scientific career at this institute in 1954 in the theoretical department headed by I. M. Lifshitz, with whom he developed the theory of the late stages of evolution of supersaturated solid solutions, cited today as the Lifshitz-Slezov (LS) Theory or Lifshitz-Slezov-Wagner (LSW) Theory. He was twice awarded the State Prizes for Science and Technology of the Ukraine (in 1978 and 1993).